Fire Fountain 32" - Aquascape, Inc.
Aquascape Fire Fountains combine the beauty and elegance of fire and flowing water to provide a self-contained, standalone water feature that is sure to impress. The durable GFRC construction stands up to the elements and ensures years of enjoyment. 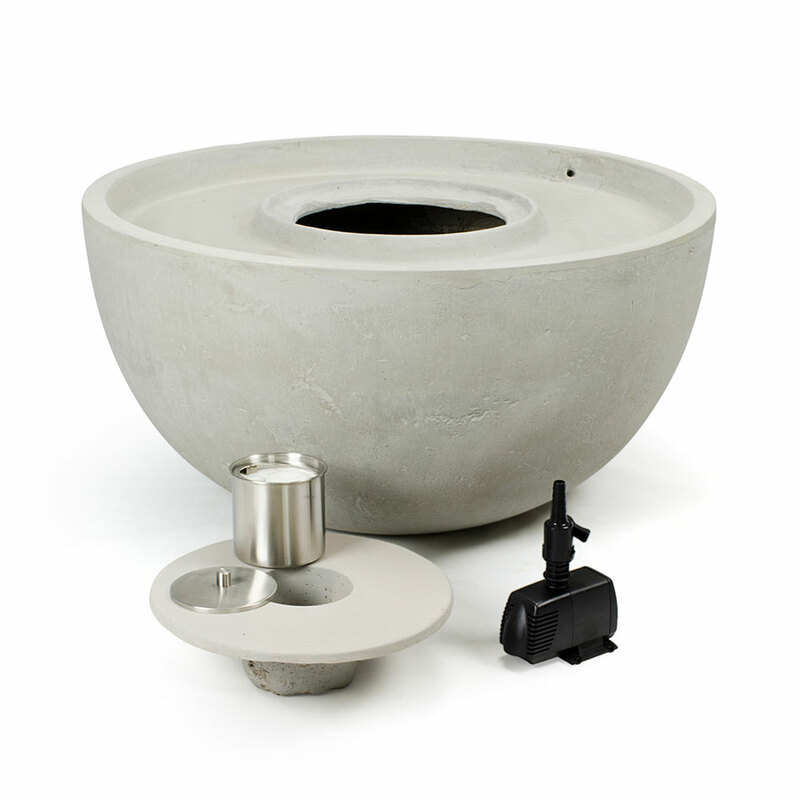 Setup is quick and easy, and the sandstone finish allows the fountain to blend easily into a wide variety of settings. 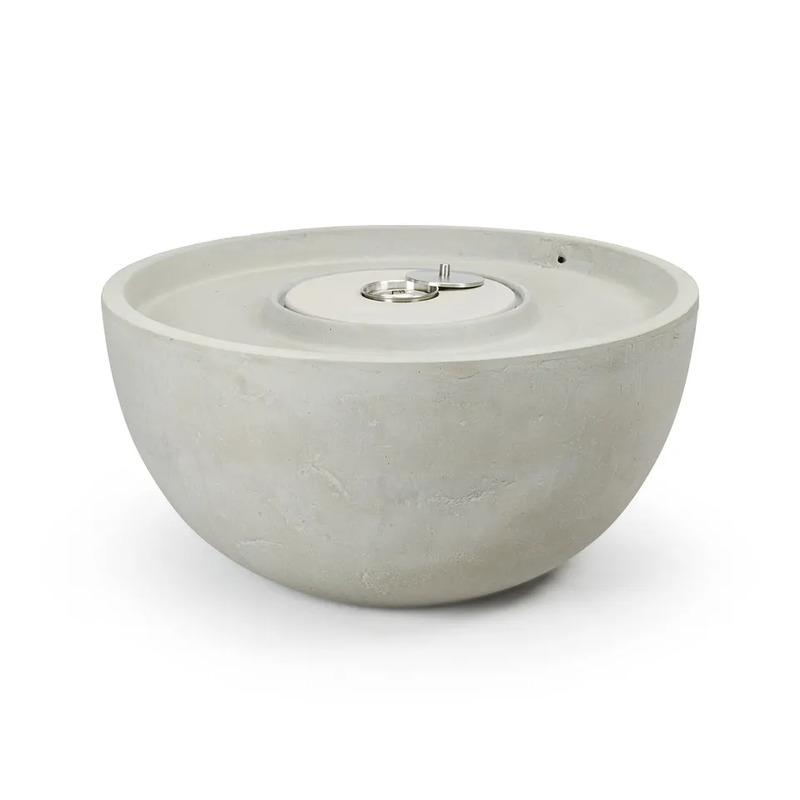 The included fire pot is simple and easy to use, providing an ideal centerpiece for any setting. 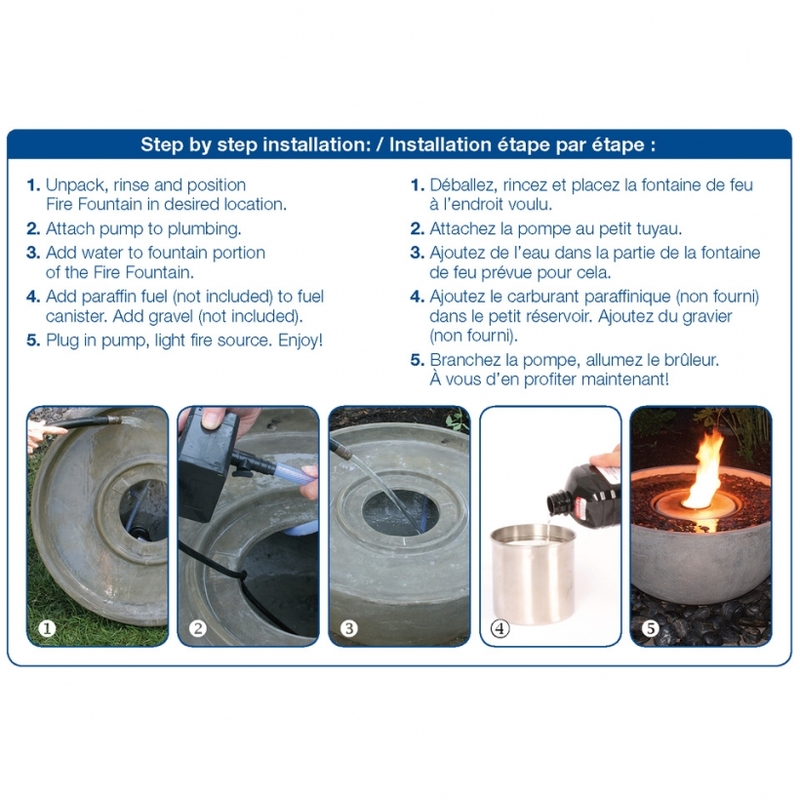 The fountain comes complete with pump, plumbing, and fire feature (paraffin fuel and decorative stones sold separately). Aquascape is passionate about the products we produce, providing unique products, designs, and features that stand above the competition.